As we live in bear country it is no surprise we have started having problems with a nuisance bear in the Pine Mountain Lake area. All recent incidents have involved a young bear looking for food. No property damage has been incurred, and the young bear has shown NO SIGNS of aggression toward people. Whether you live in a city or a rural part of California, wild animals are your neighbors. Most wild animals will not bother you. They naturally fear humans and keep their distance so long as they remain fully wild. But if wild animals have access to human food and garbage, they want more and more. They lose their natural fear of humans and can become aggressive. 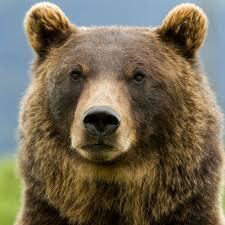 If bears and other wild animals damage property or threaten human safety, they might be destroyed. Allowing wild animals access to human food is dead wrong. 1) Keep pet food (outside or in the garage) stored in a sealed container that does not allow odor to be released. 2) Don’t leave any pet food bowls outside at night. 3) Double bag trash in plastic bags or use odor eliminating trash bags when storing trash outside or in the garage. 5) Motion activated flood lights can be placed to illuminate porch and trash storage areas. Wildlife will become accustomed to lights that are always on. Motion activated lights work best. 6) Put away picnic leftovers; clean BBQ grills. 7) Pick up fallen tree fruit as soon as possible. 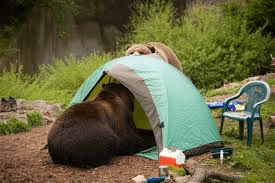 8) Do not intentionally confront a bear…Banging pots and pans or blowing a hand held air horn can scare away a bear that wanders too close to your home or campsite.